I am working on the third installment of the Christian fiction series, Promises to Zion. 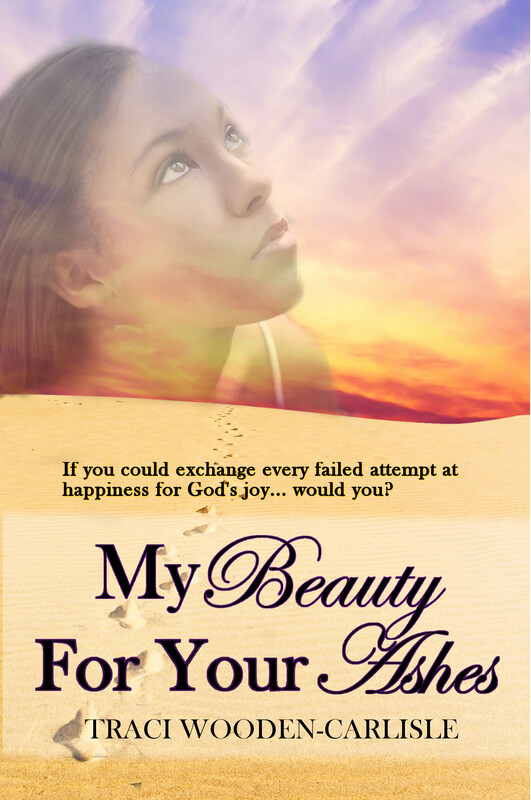 The title of this book is My Garment of Praise for your Spirit of Heaviness. I am in the editing stage of the audio book for My Beauty for Your Ashes, my first book in the series, and am looking forward to releasing that in May of June of this year. I have also started writing a children’s book for ages 6-8. All of my characters have come to me in a moment. It’s as though I met them at that moment, shook hands with them and exchanged introductions in a few seconds. I got to know them better as the story evolved. I found out what their dreams were and what hurt them the most as I spent more time filling the pages. I even talk about them to my husband like they’re real and every now and then I catch him off guard and he goes “Oh no, are they alight?” My answer is usually “They will be when I get to the next chapter.” He then sends me a look of exasperation mixed with relief. He is perfect because someone else may start sizing me up for a straight jacket. I have four main characters in my books and each one of them have a piece of me. I didn’t make the connection in the beginning, but the more I answered people’s questions of which character was most like me, the more I had to consider that at certain times in my life I could have been any of them; maybe not to the degree of two of the characters, but there are definitely some similarities. My characters talk to me. Their personalities are much defined. I know there are certain things they will do and situations they will work hard to avoid. Their depth seemed to reveal itself like an onion. It started with surface things like their favorite color (which usually matched their eye, hair or skin color), fragrance or clothing and style of living. It would then evolve to what they would do and think in any situation that would come up in the storyline. The deeper the situation, the deeper I would delve into the character. I am a fly-by-the-seat-of-my-pants. 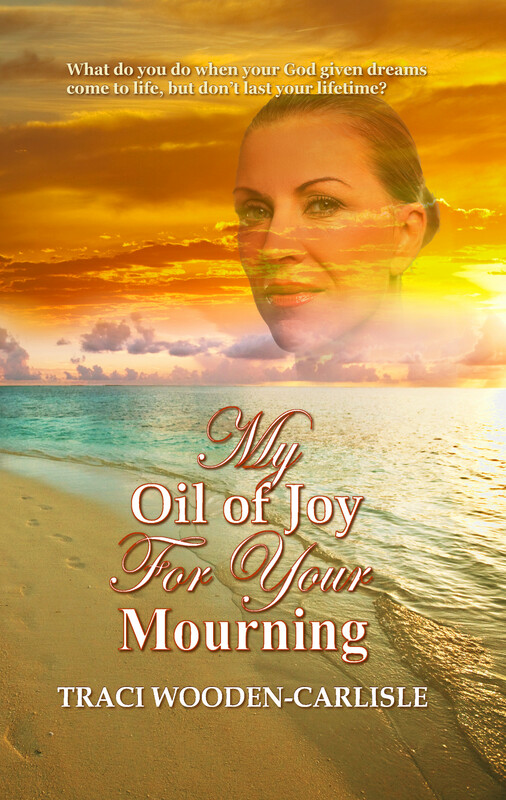 I wrote ‘My Beauty For Your Ashes’ like I was the one reading it. I usually didn’t know what would happen next until I was the keyboard pounding it out. My second book was half and half since it was a continuation. I had to make notes to stay consistent with the story, but there were still plenty of parts that shocked me. Most of my notes are after the fact so that I can connect on book to another. Each character has their own page of notes for things like age and marital status. There are a couple of scenes as well that came to me in the shower that I am still writing up to, but that is about it. I keep my phone in the bathroom with me because I get a lot of things in the shower and I voice text them to myself when I step out. I would say I have found more ways to streamline my technique rather than change it. I love words and I still hate using anything, but what I feel is the perfect one to convey an emotion or what I see in my mind’s eye. I have worked to make my points more direct though. I love visiting new places, but I work a great deal so I love pictures of different places during different seasons as well as special events like Strawberry Fairs in different parts of California or quaint out-of-the-way towns with two-lane main streets with storefront after storefront. I do a lot of internet travel. For situations and storylines I get my inspiration from God. My ultimate job in writing it to express as best I can what He wishes to convey in the story. I usually write in the evening because I have 1.5 day jobs. Depending on the severity of the scene I will write in the quietness of the bedroom or on the couch with earbuds next to my husband while he watches television. Sometimes I will listen to gospel, Christian or jazz in the background, but where I am in the story and what I want to convey plays a huge part in my decision. I wish I had known the amount of discipline it would take to finish. Sometimes I just wanted to go to sleep, but my characters were knocking and I didn’t want to lose the thought so I stayed up and wrote when I knew I had to get up early the next morning. The times I rolled over, I usually lost the best way to say what needed to be conveyed and I sat at my computer frustrated the next day. The lost thought wasn’t the problem, my frustration was. My advice is, don’t fight it. You were born with more than one good thought. Do what you can and the rest will eventually come. I am an indie author and I am happy about some of the ways publishing has gone in the last 10 years because it has opened the door for many authors that I might otherwise not have read. It has also opened the door for lower standards in editing and publishing due those same doors being open. I have a love for books that won’t be squashed by the lack of paper between my fingers, but even if I read on a kindle I won’t subject myself to a half formed storyline. I am disappointed by the lack of literary value in mainstream film, but I tend to consider them a whole different discipline. If I want literary value I won’t look for it from a movie I will pick up a classic like Great Expectations by Charles Dickens. It isn’t always fair how Hollywood picks their projects, but it won’t stop me from writing. I started out waiting for traditional publishing to pick me up and once a small publishing house did I thought things would change, but I just didn’t know enough to understand what it could do for me and what it couldn’t do. I am an indie author now and I am looking forward to discovering a lot of the ins and outs of this world of publishing. Publishing today does not mean you become a bestseller tomorrow even if your book is bestseller material. Write down why you write even before you write down your writing goals and where you wish your writing to go. Sometimes it may be those few sentences that keep you focused and encourage. I am way too new to fanfic to have a definite opinion. I am entertained by some of the pieces I see and it is a form of flattery to some authors. I consider it harmless to a degree, but the motive behind any work is the key. I have a few creative outlets and I have focused on them in their own season. The only thing that rivals my love for writing is my love for dance and choreography. Dancing came naturally and I studied it in high school. I performed until my final year of college, but graduated with a degree in journalism with an emphasis in PR and Photojournalism which I turned into a career in graphics. So now I design my own promo material, book covers and website because it’s fun and an extension of my writing. I dance to keep fit and exorcise stress and I write to feed my soul. It’s hard to imagine not writing. I would review books, create bookmarks and keychains with swag and knit scarves and fingerless gloves. I began writing at 8 and knew I wanted to do it for life at 11. Nora Roberts for her longevity, Dee Henderson for her clear Christian writing voice, Max Lucado for being so transparent in his writing and Rochelle Alers for her wonderful attention to detail and unique storylines. 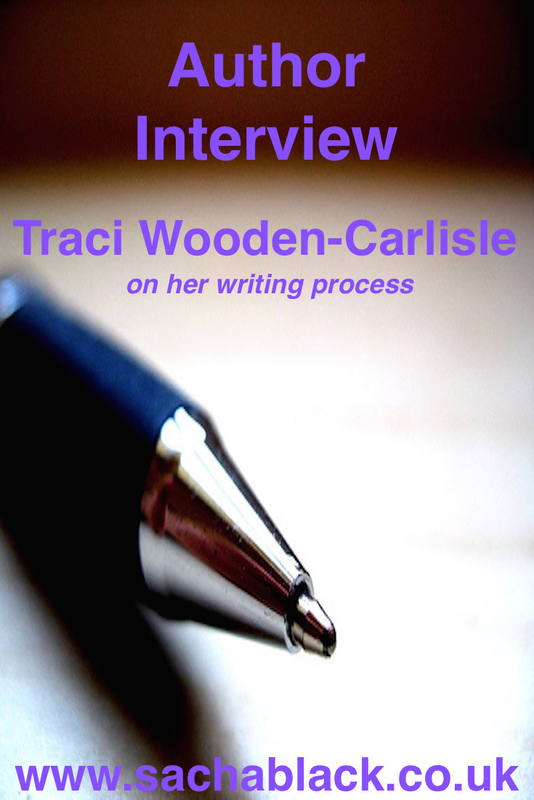 Traci Wooden-Carlisle began writing poetry and short stories as soon as she was able to form words on paper. She used that as a way to creating worlds, as well as, to communicate with God. A native of Los Angeles, California, she grew up attending United Methodist Church under the leadership of a pastor whose heart was for youth. Once she finished college at Humboldt State University she found herself at a loss. She felt caught in the transition between childhood and adulthood. She received a great deal of her answers through a Tuesday night Bible Study. As she continued to attend classes, the Bible became real to her and the scriptures were more than just words on a page. They came to life and she was able to identify with the teachings. She was filled with the Holy Spirit one November evening in 1995 and soon found that when she wrote to God, the Holy Spirit would respond; at times in the form of poetry and other times in conversation. She was amazed, awestruck, and humbled to know that He had not only been listening, but also wished to have a more intimate relationship with her. 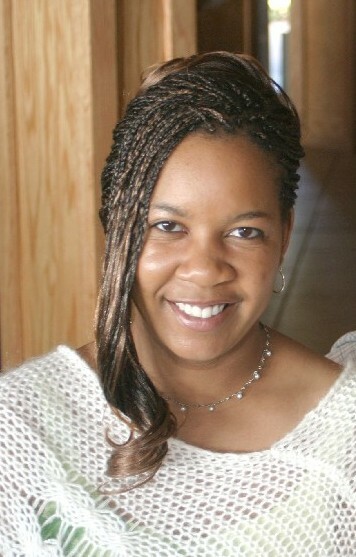 As she continued to write she joined a smaller church closer to her home in the San Fernando Valley and became an intercessory prayer, volunteered at the juvenile hall in the area, participated in door-to-door evangelism and shared her first love of dance by creating a praise dance team. 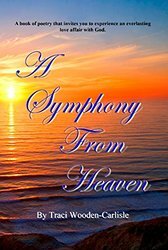 She surrounded herself with saints and volunteered her services as a graphic artist. Through the early-morning prayer, all night Friday prayer and 3-day shut-ins she started on her journey toward her most desired gift, an intimate relationship with God. Today, Mrs. Wooden Carlisle lives in San Diego with her husband, David Carlisle. She serves as a church Office Manager, teaches fitness classes, continues to praise the Lord through dance, and is currently writing her third book in this Christian-fiction series. As always, I enjoyed your interview. I don’t know how Traci finds time to write with 1 1/2 jobs. She must have some amazing time management skills.
? thanks Michelle ? and I know right!! Superwoman clearly ?